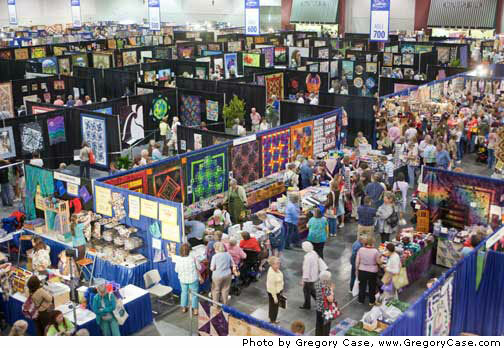 I belong to a couple of guilds: Quilters by the Sea in Long Beach and Orange Grove Quilters Guild in Garden Grove. For Christmas OGQG gave their members this beverage mug. What a great idea. Quilters make it their own and at the same time quit adding those paper or Styrofoam cups to the land fill. I decided to make selvedge fabric. And, here is my personal quilter's mug, ready to take with me to the February meeting. I love it. Now to remember to take it with me; and to remember to bring it home. But, I’m going to try real hard. Did you ever have one of those quilts that you thought you would just whip out so fast and yet it took forever? That’s what is happening here. My Gee's Bend quilt is taking much longer than anticipated. But, I’m quilting. 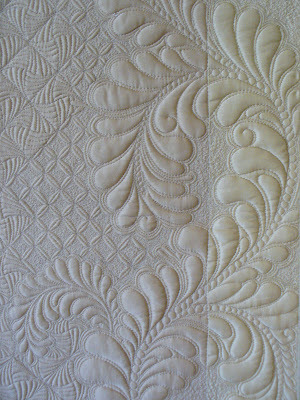 Quilter’s by the Sea Quilt Guild has a new challenge for 2012. Jump in with Both Feet is a quilt from scratch; a kit you bought some time ago, fabric you have loved or a pattern or technique you have wanted to try. Do Your Part. If you make a charity or auction quilt, you will receive double raffle tickets! In Your Closet. This one is a true UFO that has been started, waiting to be finished. QBS Workshop. If you finish a quilt from a 2012 QBS workshop, you will receive double raffle tickets! This is what I’m doing for Jump in with Both Feet. I bought this Gee’s Bend quilt kit after thinking about getting one for a couple of years. I would pick one up, and put it back down at several shops. After all, I could come up with something on my own close to it. But, I really wanted one of these women's quilt designs. Finally last fall I had a 25% off coupon for a local shop; and guess what, they had these Gee’s Bend quilt kits. It was a no brainer at that point. I got the top done. Yes, it was quick, easy and most of all, fun. I also think it will be fun to quilt. Maybe lots of interesting straight lines. DID I REALLY PURCHASE MORE FABRIC? Yes, I did. But, isn't it great? Road to California has vendors that we don't usually see. So, I had to get this; I might not see it again. That's my story and I'm stickin to it. Road to California Quilt Show that is. We always look so forward to this great event each January in Southern California. It’s a big deal, honest. Besides it being a great show of fabulous quilts, there are a ton of vendors. We love vendors don't we? They also offer a wonderful variety of classes. Another thing that we love. 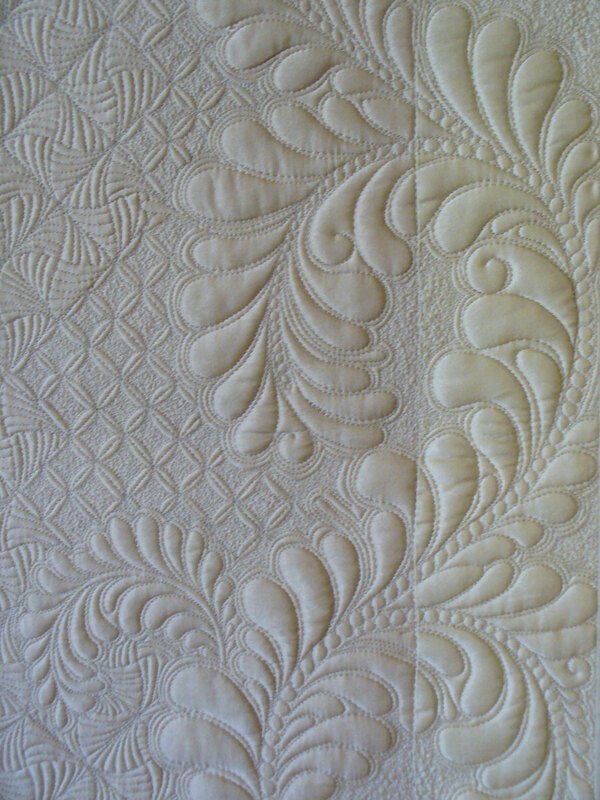 This year I will be taking Cindy Needham’s machine quilting class: Ready, Set, Go…Let’s Quilt. Thanks for Robin, I am prepared. She put together quilt sandwiches for me. My hope is to get even a tiny bit as good as this sample. I'll post my samples when I get back. Maybe. What do you do when you find such adorable tea towels? Why you make an adorable valance for the kitchen window. Last Thursday I received a most fabulous President’s Quilt from my quilty friends with Quilters by the Sea Quilt Guild. It is tradition that the out-going president spear heads this project and make the quilt. (guess what I’ll be doing this year?) Sonia Das selected bright houses for me. I think it is absolutely perfect. Don’t you? I am so thrilled with it. I can’t wait to put it to use. I may just put it on my guest bed and change which side I show, weekly. I really can't decide which side I like better. Thank you to all of you at QBS and a huge thank you to Sonia for such an excellent quilt to treasure forever. Remember that post about a new project a while ago? Last night I turned over the President's gavel to this year's president. It is tradition that the outgoing president give thank you gifts to the Board. I used Robin's wonderful pattern the Tote Along. I put the guild's logo on one side of the pocket. Long Beach has gone plastic bag free and you must provide your own bags at stores or pay 10 cents per paper bag. So, these just may come in handy. And, I think they turned out pretty cute. I had an oops on one bag (not too bad out of 35). I mean a big oops. One handle got put on twisted. I triple sew these handles down and decided NOT us unsew. The lucky person who got he "oops" Tote Along got this pattern with fabric as a gift. Marisole, Vice President of Workshops, was the lucky person. I bet she gets it made. Now it's time for another new project. Love following your blog. My goal for 2012: Shop my stash first. Just buy what I really need. Hi Pat, your name was selected by the Random Number Generator. Contact me so I can get your snail-mail address. 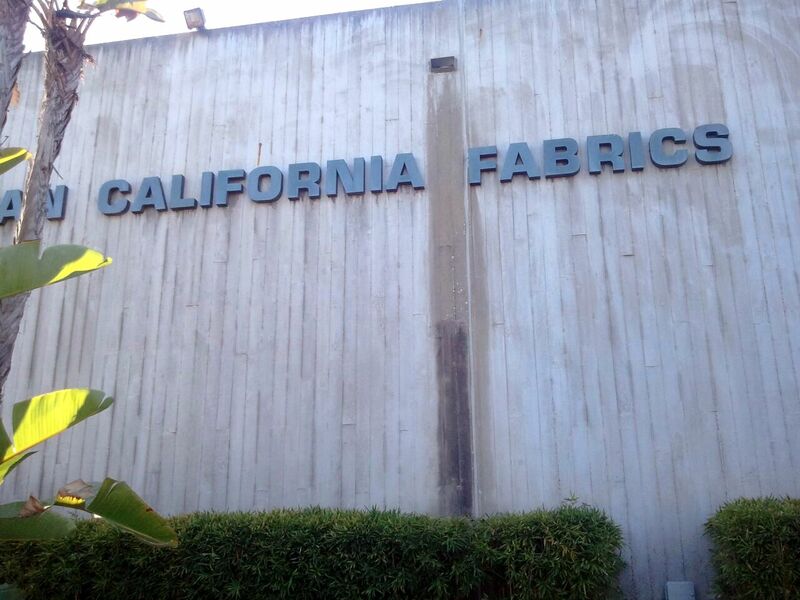 Yesterday I had to make a run to Hoffman Fabrics. I'm not the best photographer; or maybe it's the old eyes. You have probably seen that cartoon going around the internet about needing a tote for totes. I saw this in Hoffman's office and just had to snap a photo with my phone. 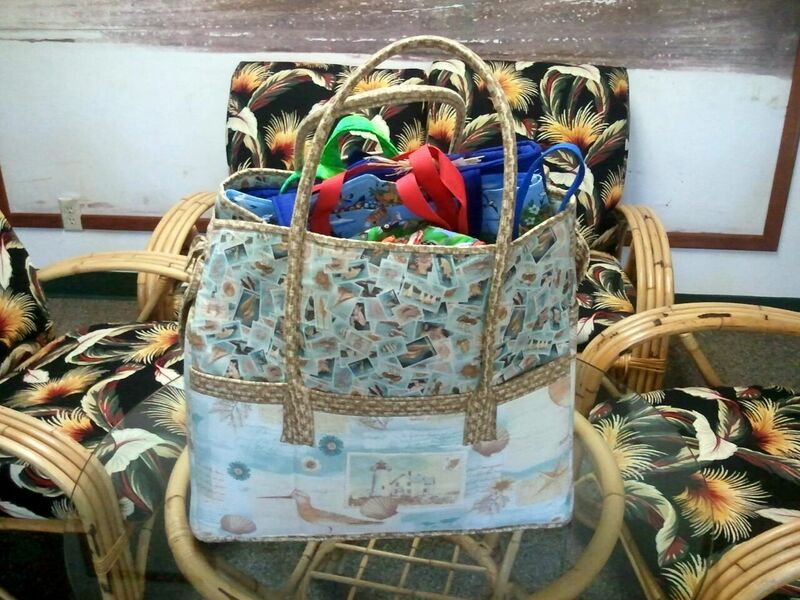 They used Seaside Cottage fabric design for the mega tote. As you can see, it is almost as big as the coffee table. I love it. I was going to have a giveaway for Thanksgiving. That never happened. Then I was going to have a giveaway for post 300. Again that didn’t happen. And, I was going to have one for Christmas. Well here it is, January and I am finally having that giveaway. One of my goals for 2012 is to procrastinate less. If you are a follower of Marilyn’s Maze, just leave a comment about what one of your 2012 goals might be. I’ll drop your name in the hat for a chance for this little zippered bag I made. I’ll be drawing that name on Sunday, January 8, 2012. Good luck!